Amazon Deal: Gluten Free PopChips 24 pack only $0.51 each! Great coupon out for Lundberg Rice Cakes…we like to use these in place of bread for “sandwiches”…top with PBJ, bananas, PB and raisins, etc. $.75/1 Lundberg Rice Cakes Remember, you can print 2 coupons…just hit the “back button” on your browser. 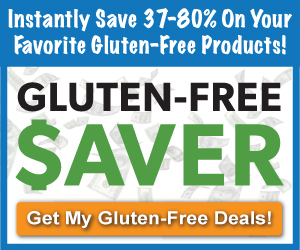 Every penny counts… Thanks Gluten Freely Frugal!